After working in private practices in Brisbane and Sydney as well as lecturing at the University of Qld, Dr Jones opened Enhance in 2010, bringing to life her vision for the perfect dental practice: one where excellence in clinical quality and patient care, the highest ethical standards and a welcoming, warm experience are all of great priority. Since graduating from University of Qld with first class honours, Dr Jones has kept abreast of new dental treatment and research through continuing education, media and courses. She works closely with a broad range of practitioners who share her philosophy and approach to health and wellbeing such as doctors, naturopaths, chiropractors, lactation consultants, speech therapists, podiatrists, massage therapists and counsellors. 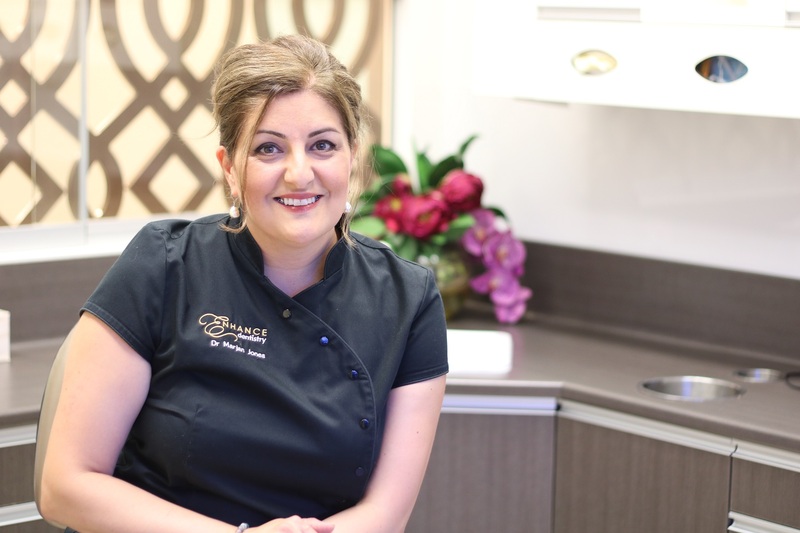 Along with her work in cosmetic and general dentistry she is a highly experienced laser dentist with a particular interest and experience in the treatment of tongue and lip ties in patients of all ages. She is a founder and director of the Tongue Tie Institute. Dr Jones regularly speaks on the diagnosis, treatment and life long effects of tongue and lip tie. Invited key note speaker. Topic : Seeing the end in the beginning. Includes compilation of 2 books related to impacts of oral restrictions across the lifespan and surgical methods and setting up a tongue tie clinic for comprehensive protocol for management of oral restrictions for best patient outcomes. Invited speaker. Cromwell College formal dinner, University of Qld. Audience : Dentists, assistants, IBCLCs, Breastfeeding counsellors, parents. Audience : Speech and language therapists, dentists, oral health therapists, lactation consultants. Presentation to Health practitioners (Lactation Consultants, midwives, nurses, GPs, chiropractors) about Identification and management of Tongue Ties and Upper Lip ties. “Untangling Tongue Ties” with relevant CE credits to chiropractors and Lactation consultants and GPs. Invited keynote speaker. Topic : Treatment of lip and tongue ties for optimal breastfeeding – what are the potential implications in future life? Presentation to group of Health practitioners (Lactation Consultants, midwives, nurses, GPs, chiropractors) about Identification and management of Tongue Ties and Upper Lip ties. Television program. Provision of opinion on Water fluoridation and its implications for rising caries rates in children. National Studies Conference “Health and Healing”, University of South Qld, Toowoomba.